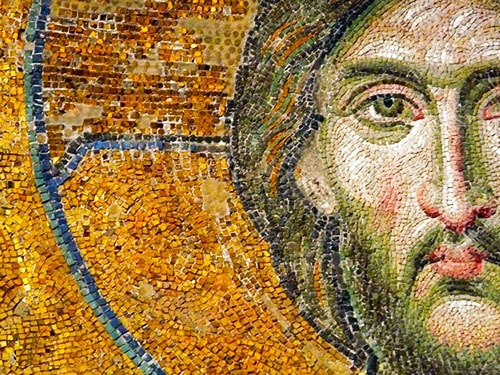 Jesus often referred to Himself as the “Son of Man.” This was not merely a way of indicating His humanity but, more than that, has great eschatological significance. It identifies Him in terms of God’s final plan for the world. In Daniel’s vision, the scene shifts to heaven in verses 13 and 14. The Son of Man is the one who comes with the clouds of heaven and appears before God the Father, the Ancient of Days. This is not the Second Coming, when King Jesus will come down from heaven. This is the Ascension, when Jesus was carried up with the “clouds of heaven” (see Luke 24:51 and Acts 1:9). In the vision, the Son of Man is given “dominion and glory and a kingdom.” It reaches to all the peoples, nations and languages of the world so that all on earth should serve Him. Matthew’s gospel account does not describe for us the actual ascension, as does Luke’s, but it does show us the essence of it. We see this at the end of the book when Jesus comes to His disciples and announces, “All authority has been given to me in heaven and on earth” (Mathew 28:18). This language portrays the significance of the ascension: glory, dominion and kingdom. This is the kingdom of God, the dominion given to the Son of Man. It cannot be destroyed but will fill the earth and endure forever. Notice that it does not first appear as a great mountain but as a stone. By the end, though, it becomes a great mountain that fills the whole earth. So it is with the kingdom of God and the dominion of the Son of Man. The Lord Jesus has ascended to heaven and been given all authority, glory and dominion. And, in the words of Paul, “He must reign till He has put all enemies under His feet,” at which time He will deliver the kingdom to God the Father, “when He puts an end to all rule and all authority and power” (1 Corinthians 15:24-25). What has begun with the Ascension will end when King Jesus comes again.